B.C. Ferry Advisory chairs argue for change to the ferry system. “While we’re pleased the government is finally talking to the communities the model is supposed to serve, we’re disturbed by the large gap between government’s view of the system and ferry users’ reality,” says Tony Law, of the Hornby-Denman Ferry Advisory Committee. Government representatives wanted to talk about $26 million in service cuts. But an overwhelming majority of attendees told government there are different, bigger problems that have to be fixed first. The main one is fares. Fares are a problem because government has chosen to make ferry users bear all the costs of fuel price hikes, and decades worth of government neglect of old, inadequate ships and terminals. The only exception is some extra support for the northern routes. Government’s embrace of user pay has also led to lost jobs, collapsing tourism and businesses, and chronic ferry traffic losses. New public debt has been avoided, but only by off-loading debt onto BC Ferries and through the fares, to its users. But the users can’t afford it. • Fare rollback: Fund a 25% rollback on non-major routes to bring fares closer to inflation increases of the past decade, and begin to repair the damage from heavy fare increases in that period. • Capital plan: Provide funds to allow timely decisions on necessary capital spending. This includes replacements for 54- and 48-year-old ships in the fleet. • New funding mechanism: Develop a formula to balance provincial and user contributions and keep fare increases within the rate of inflation. 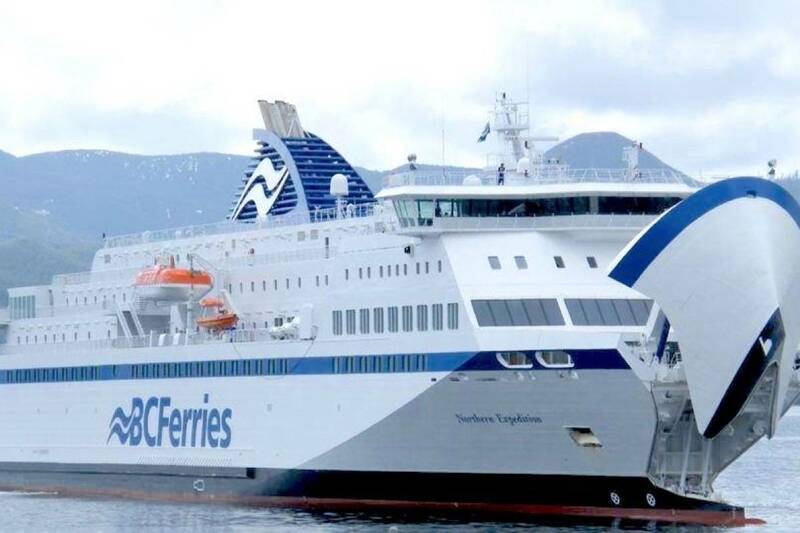 Currently, fares fill the shortfall between BC Ferries’ revenue needs and what the Province chooses to contribute. This has failed to produce a workable result. • New service model: Once a workable funding mechanism is in place, conduct community-by-community consultations to shape a new service model, using criteria appropriate for each route. In addition to increasingly urgent messages from coastal residents and businesses, the government has received well-considered advice from the Office of the Auditor General, the Comptroller General and the BC Ferry Commission. Some of their recommendations not yet implemented would help repair the model and fulfill some of the goals for the system. The health of all coastal communities and their lifeline transportation depends on it. The BC government is accepting submissions to its ferry consultation until December 21.